96 Teams of 4 will face off on the lanes for a riveting afternoon of bowling competition. Paired with a Special Olympics Edmonton athlete, teams will show off their skills in a day full of laughs, pins and prizes! Teams will be split into two shifts, the first running 12:30 pm – 3:00 pm and the second from 3:00 pm – 5:00 pm. Throughout the event, there will be opportunities to test your luck with our Door Prizes, bid at our Silent Auction, and be entered into our Keg Strike Pot. Be warned – SOE athletes are absolute pros in bowling, so bring your best game! Form a team of 4 and raise money through pledges and online donations. Donate! You can donate to an individual or a team! Any amount will help us reach our goal! Of course, you are encouraged to fundraise more if you can! There are prizes for the top fundraisers! 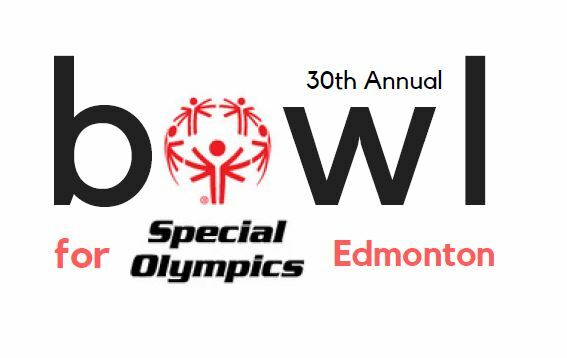 The Bowl for SOE fundraiser has been a pillar event for Special Olympics Edmonton (SOE) for decades and is a primary funding source for our programs. SOE is a non-for-profit organization that provides sport and recreation programming to more than 550 athletes in your community who have an intellectual disability. Currently, we offer 41 programs that keep our athletes busy each night of the week, year round! Our athletes range from two to eighty years of age, and our mandate is inclusion – there truly is something for everyone within SOE. Your participation in this event will help us strive for more secure and accessible facilities, development opportunities for coaches, and expanding our travel and competition opportunities for athletes all serving to enhance the athlete experience!